If you want an all-round, go-to lens for life's many unpredictable moments, look no further than the 1 NIKKOR 11-27.5mm f/3.5-5.6. Sleek and compact, it strikes an ideal balance with the Nikon 1 camera body while delivering a versatile 11-27.5mm (30-74mm equivalent on 35mm format) zoom range. Capture tack-sharp group shots, vibrant wide-angle landscapes, flattering portraits with softly blurred backgrounds and stunning HD videos from any vantage. Catch a wide-angle group shot one moment, then zoom in for a candid close-up portrait the next. The 1 NIKKOR 11-27.5mm f/3.5-5.6's versatile standard zoom range (30-74mm equivalent on 35mm format) is ideal for just about any shooting situation, from landscapes to portraits. Every shot will be as brilliant as the moment it was captured. The Nikon 1 system is one of the most compact, portable interchangeable lens cameras available, designed so you can always have your camera on-hand. 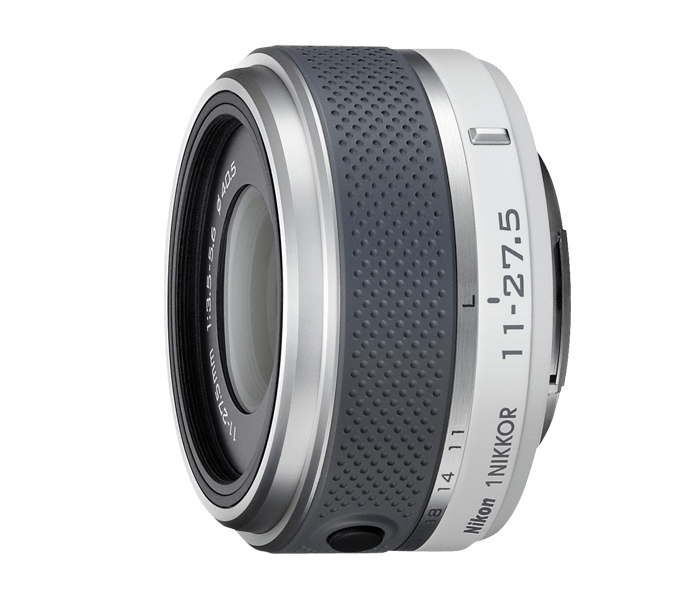 The 1 NIKKOR 11-27.5mm f/3.5-5.6 lens takes that portability to the next level. At just 31mm long, it's an ultra-compact standard zoom that keeps your Nikon 1 camera as slim as possible. And it produces such great results in so many situations, you'll carry it with you all the time. Give your portraits beautiful softly blurred backgrounds. The 1 NIKKOR 11-27.5mm f/3.5-5.6's fast f/3.5 maximum aperture creates that attractive shallow depth-of-field and lets you shoot at faster shutter speeds in fast-action or low-light situations.